The Siglent SDS1102CML, a two channel 100 MHz oscilloscope, is an incredible bargain at $397. But how does it stack up? This is part 1 of Jack's review. Part 2 is here. Watch the 6 minute video for Jack's review of the oscilloscope. (There are tons of additional tool reviews here). Hi, I'm Jack Ganssle and welcome to the Embedded Muse video blog, which is a companion to my free Embedded Muse e-newsletter. This is an oscilloscope from 1946. It is entirely analog, has practically no capability at all, and by today's standards, would be considered a pretty crappy instrument. It costs $800 in today's dollars when it came out 70 years ago. Recently there are several vendors who have offered some tremendously capable scopes half that price. Today we're gonna look deeply into one of these. This is Siglent's SDS1102CML digital oscilloscope. It's a 100-megahertz scope that cost an amazing $379. It's plastic of course like pretty much all modern scopes, but for that price, you'd think it be kind of chintzy but it's not. It's solid. It feels very well-constructed. The buttons all have a very solid feel to them without any sort of slackness at all. It weighs just 5 pounds and it's quite small. The screen, as you can see, is an honest 7 inches diagonal. It's T.F.T. of course, and doesn't have a whole lot of resolution. It's a 480 by 234 pixels, but given that there's an 8-bit A to D converter, that sort of makes sense. There is a fan inside the device, but it's extremely quiet. I have to admit I'm pretty smitten with this scope. I think the price-performance ration is simply fantastic. I'm gonna point out a couple of things I didn't really care for, but overall I think this is a definite winner of an instrument. Let's go ahead and see it in action. As I mentioned, it's a 100-megahertz scope. It samples at a gigasample per second. If you're using both vertical channels, that slows down to 500 million samples per second. The buffer is 2 million points. This thing will sweep all the way down to 2.5 nanoseconds per division, which is pretty good. Now about divisions, if you can see this, there's actually 18 boxes going across the screen, which is quite a bit different from most scopes where you have 10 going across. I'm not quite sure. Maybe that's metric or something. Let's slow this down. We can look at the vertical channel here. The vertical sensitivity is displayed there. We're at 1 volt per division. As I change the sensitivity, it goes into standard one to five sequence like you see on most scopes. If you press the button in, you get a fine adjustment. It changes just a little bit so you can really control how much of the wave form is displayed on the screen. It has a tremendous viewing angle. I mean, look at that. You can see this practically no matter where you are in the lab. One feature that's nice is the auto-set. Now all scopes today had some sort of an auto-set. If you get this in some weird mode, you press auto and it brings it back. Most of the scopes I use, it brings it back to a mode I don't like. This one always seems to make a decent decision. When you do that, it allows you to decide which triggering style you'd like using these buttons. I can clear that menu by pressing that button. One of the really nice features is, if you press the horizontal button, you get a zoom. So there is our square wave paint displayed. Here's a blowing up section of it. I can change that or of course I can move the window across the screen. It can examine in great detail small sections of your wave forms. Now we're looking at a pulse, which is about 200 nanoseconds wide to show off some of the triggering features. I press the trigger button. We get this menu. This also sets the type of trigger. As you can see, we can do the normal edge triggering. This is one of the features that I don't really care for. This little select button here is extremely sensitive. Of course maybe it's because I drink too much coffee, regardless. We can select to which channel, what kind of slope and all of that. If we go to pulse triggering mode, then we get the ability to select on the width of a pulse whether it's great than a particular width, equal to a width or less than. I mean, all kinds of things. It's fantastic. If I set that to greater than here, then we can set the width with this button. As I said, this is a 200-nanosecond pulse. It's gonna trigger whenever there's a pulse more than 30 nanoseconds long and of course you can see it's triggering like crazy. If I crank this up, here I'm over 200 nanoseconds. It's no longer triggering. That's kind of cool. There's a similar feature with this slope triggering mode where, here, you can set it to trigger on a rise time or a fall time exceeding or being less than some value that you set in. Again it's a very nice and useful feature for us digital people. The scope comes with two probes. I mean, they're nothing fancy but they're pretty decent. If you were gonna buy a probe from say Agilent, this is a nice, beautiful 500-megahertz probe. 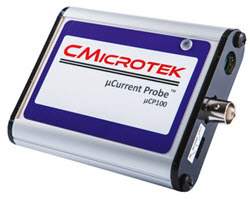 This one probe costs approximately the same amount as the Siglent oscilloscope with the two supplied probes. It's a pretty decent deal. When we talk about things like bandwidth, it's a 100-megahertz that we keep talking about, what does that really mean? On most scopes, that's rated at the 3dB point. In other words, half the signal is gone. If you're looking at a 100-megahertz sine wave that's 5 volts, don't be surprised if it's displayed at 2.5 volts because that's a 3dB down point. Sometimes people complain about this. It's the way all scopes are rated. It's just the nature of the beast. You just have to understand what is going on, so that when you take measurements, you can correct for these factors. That's it for part one of the review of the Siglent SDS1102CML oscilloscope. Check back in the future for part two. Thanks for watching and don't forget to go over to ganssle.com for more embedded videos, over 1000 articles on the subject, and be sure to sign up for the free Embedded Muse newsletter.